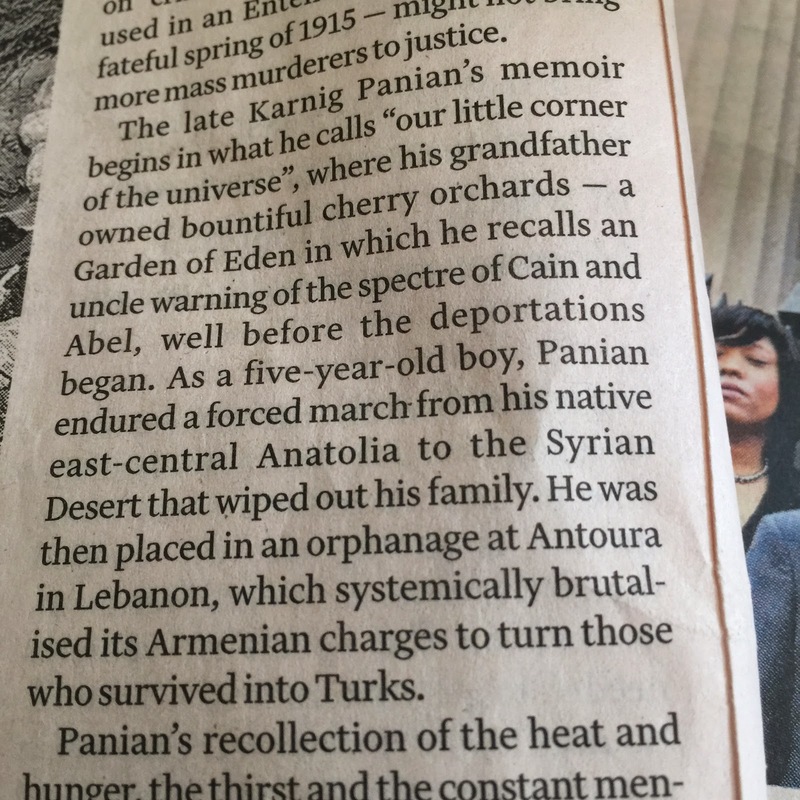 I have been resisting coming back to this blog for ages, but today, reading an article about the Armenian genocide in a Financial Times from early April, I found myself unable to restrain the urge to point out how much better the piece might read, had the sub-editor made a few tiny changes. In the passage below, I got distracted again, this time by the word "nor" - where is the "neither" it belongs with? In the passage in my final photograph, I once again became distracted by a sentence that could easily have been better constructed. 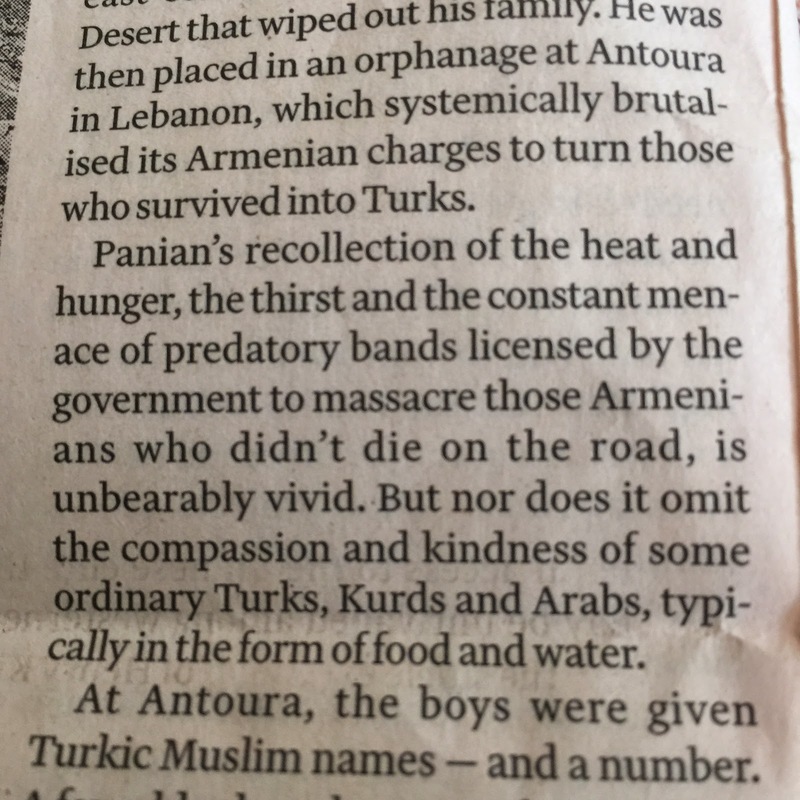 I think the sentence that begins "At Antoura" would work far better if written thus: "At Antoura, each boy was given a Turkic Muslim name and a number" or "At Antura, each boy was given a number and a Turkic Muslim name." 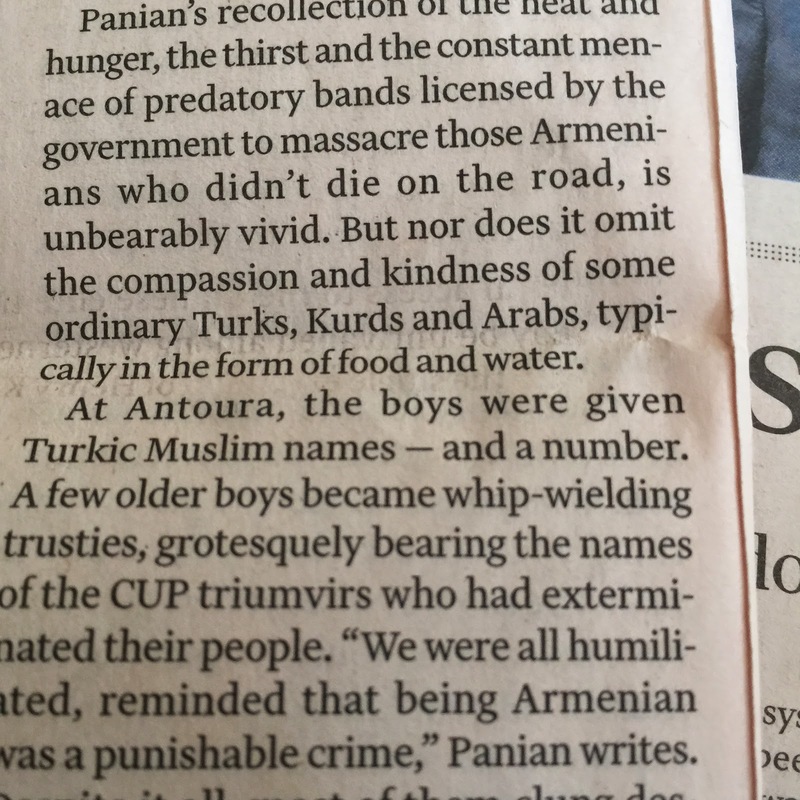 Lots of people would say these things don't matter but, if someone is going to go to the trouble of writing an article, it makes sense to edit it in such a way that the reader is not distracted more than absolutely necessary. Clarity is always the aim in any piece of writing; confusion is the foe. That's how I see it, anyway.